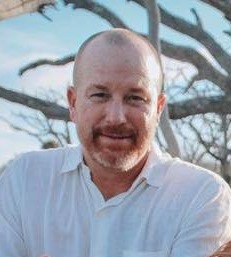 Funeral Services for Christopher Kelly Craig, 48, of Elko, SC will be held Four p.m. Wednesday, September 5, 2018 at the First Baptist Church in Williston, SC with Reverend Jimmy Hanf and Dr. Darrell Thompson officiating; burial will be in the Mt. Calvary Baptist Church Cemetery. The family will receive friends from five to eight p.m. Tuesday, September 4, 2018 at Folk Funeral Home, Williston, SC. In Lieu of flowers memorial contributions may be given in Kelly’s memory to Agua Es Vida, PO Box 185, Elgin, SC 29045. Kelly passed away on Friday, August 31, 2018. Kelly was a lifelong resident of Elko, SC, where he was owner and operator of KC Poultry and Craig Farms. Kelly was a third generation farmer that proudly followed in his father’s and grandfather’s footsteps. Kelly was a devoted husband, father and Christian. He was a son of Patty L. Craig and the late Ted W. Craig. He was a member of Mt. Calvary Baptist Church where he served as a deacon and the youth Sunday School teacher. Kelly was an avid outdoorsman; he enjoyed hunting, fishing and golfing. Kelly was also a huge fan of Clemson football. He enjoyed people and never met a stranger. Kelly loved well and he made everyone feel important. Kelly loved the Lord, his family, his friends, and the Clemson Tigers. Twelve years ago, Kelly rededicated his life to Christ and became a born again believer. Kelly had a servant’s heart and was always looking for ways to help others. In 2014, Kelly began going on mission to Peru and he became very passionate about spreading the gospel to the people there. Survivors include his loving wife Tina B. Craig; his pride and joy, daughter, GeorgiaAnne Craig: four brothers David Craig of Elko, Michael (September) Craig of Aiken, Patrick (Connie) Craig of Elko, Mickey (Tina) Craig of Elko; nephew Dave (Shannon) Craig of Elko, and a number of in-laws, nieces and nephews. Pallbearers: Derek Youngblood, Kevin Lawson, Walker Nix, Michael Yelton, Hal Still, Danny Minolfo, Kevin Anderson and Jason Vincent. Honorary Pallbearers: David Craig, Mike Craig, Pat Craig, Mickey Craig, Dave Craig, Clint Youngblood and Jeff Lockwood.